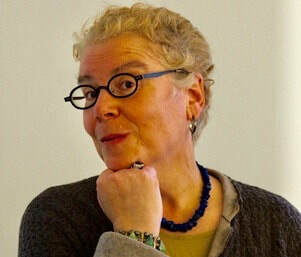 Judith Cooper lives and works in Chicago. A Pushcart Prize nominee, her work has appeared or is forthcoming in New Stories from the Midwest, The Normal School, Shenandoah, The Southern Review, Pleiades, and elsewhere. ​ Her work was a semifinalist for the 2018 Black River Spring Chapbook Competition, shortlisted for Best American Fantasy, and a finalist for both the Glimmer Train Fiction Open and the Glimmer Train Family Matters contests. She has an MFA from the Iowa Writers’ Workshop and is the recipient of several Illinois Arts Council fellowships and grants, an Individual Artists Program Grant from the City of Chicago Department of Cultural Affairs & Special Events, and several other awards. Her work has been supported by fellowships and residencies at Ragdale, The Hambidge Center, Virginia Center for the Creative Arts, Oberpfälzer Künstlerhaus in Schwandorf, Germany, and The Tyrone Guthrie Centre in Annaghmakerrig, ​Ireland. In her youth she was a chair caner, belly dancer, computer programmer, book store cashier, aid worker in the Philadelphia projects, medical coder, archaeological excavator, and a lab tech. Now that she's all grown up, she has a more serious job. Born in Philadelphia, she's lived in Baltimore, Cleveland, London, Cleveland again, Philadelphia, Leeds, Philadelphia again, Iowa City, and finally, Chicago. That's her story, and she's sticking to it.